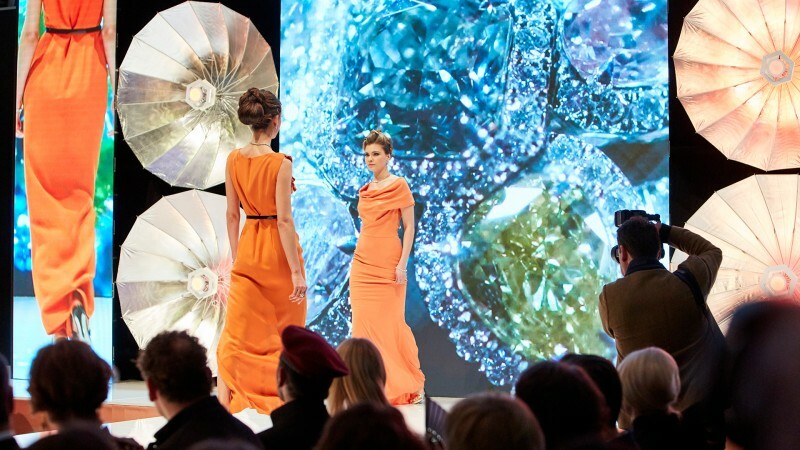 INHORGENTA MUNICH strengthens its profile in the “Fine Jewelry” segment. 25 new exhibitors will present finest jewelry of the highest quality in Hall B1. This is an increase of 14 percent compared to the previous year. Fine jewelry continues to be sought-after all over the world. This trend is reflected in the demand for booth spaces at INHORGENTA MUNICH. All spaces in Hall B1 are occupied. A total of 25 new exhibitors have been received, including such well-known names as the Vreden-based Niessing jewelry manufactory, the Danish design company Georg Jensen and the Italian jewelry manufacturer Piero Milano. Visitors of INHORGENTA MUNICH may thus look forward to an increasingly diversified “Fine Jewelry” segment. INHORGENTA MUNICH is offering new possibilities of presentation to its exhibitors. Two years ago, for instance, the ambiance of the hall was fundamentally reshaped to measure up to the image of the brands and the high quality of the collections. In addition, manufactories are provided with new opportunities to present selected pieces of jewelry on what is referred to as “Design Isles”. Furthermore, the Jewelry Shows at which professional models present selected pieces of jewelry on the catwalk, have been a firm component of the hall for two years now. “We are pleased that the shows are being so well received by the exhibitors. They are an attraction for visitors and media representatives alike”, says Stefanie Mändlein. The face of the forthcoming third show will be Zoe Helali. The prominent model has already presented labels like Armani and Vivienne Westwood and inspired the Berlin-based designer Guido Maria Kretschmer.